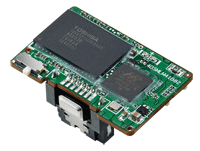 Innodisk Serial ATA Disk on Module (SATADOM™) supports SATA III standard (6.0Gb/s) interface with excellent performance, and SATADOM™-MH 3ME3 is designed as the smallest form factor size that could enhance compatibility with various design applications. Innodisk SATADOM™-MH 3ME4 is characterized by L³ architecture with the latest SATA III (6.0GHz) Marvell NAND controller. 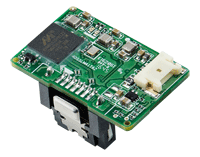 SATADOM™-ML 3ME3 is designed as the smallest form factor size that could enhance compatibility with various design applications. 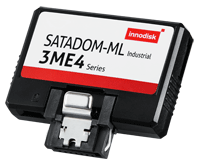 Innodisk SATADOM-ML 3ME4 is designed for industrial field, and supports several standard features, including TRIM, NCQ, and S.M.A.R.T. 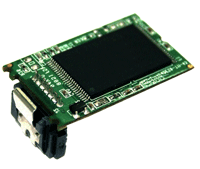 Innodisk Serial ATA Disk on Module (SATADOM) supports SATA III standard (6.0Gb/s) interface with excellent performance, and SATADOM-ML 3MG2-P is designed as the smallest form factor size that could enhance compatibility with various design applications. Innodisk SATADOM™-MV 3ME3 absolutely replaces the traditional hard disk and makes personal computer, in any field, smaller and easier. 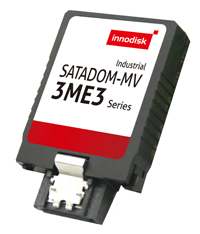 Innodisk SATADOM™-MV 3ME4 is characterized by L³ architecture with the latest SATA III (6.0GHz) Marvell NAND controller. Innodisk’s exclusive L³ architecture is L² architecture multiplied LDPC (Low Density Parity Check). Innodisk SATADOM™-SH Type D 3ME3 effectively reduces the booting time of operation system and the power consumption is less than hard disk drive (HDD), and complies with ATA protocol, no additional drives are required, and can be configured as a boot device or data storage device. Innodisk SATADOM™-SH 3ME3 effectively reduces the booting time of operation system and the power consumption is less than hard disk drive (HDD), and complies with ATA protocol, no additional drives are required, and can be configured as a boot device or data storage device. 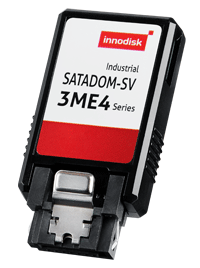 Innodisk SATADOM™-SH type D 3ME4 is designed for industrial field, and supports several standard features, including TRIM, NCQ, and S.M.A.R.T. In addition, Innodisk’s exclusive industrial-oriented firmware provides a flexible customization service, making it perfect for a variety of industrial applications. 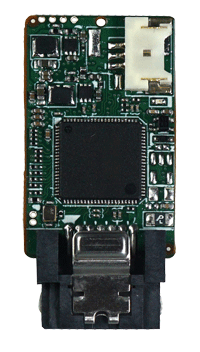 Innodisk Serial ATA Disk on Module (SATADOM™) supports SATA III standard (6.0Gb/s) interface with excellent performance, and SATADOM-SL 3ME3 V2 is designed as the smallest form factor size that could enhance compatibility with various design applications. Innodisk SATADOM™-SL 3ME3 absolutely replaces the traditional hard disk and makes personal computer, in any field, smaller and easier. 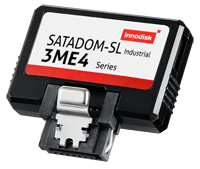 Innodisk SATADOM-SL 3ME4 is designed for industrial field, and supports several standard features, including TRIM, NCQ, and S.M.A.R.T. In addition, Innodisk’s exclusive industrial-oriented firmware provides a flexible customization service, making it perfect for a variety of industrial applications. 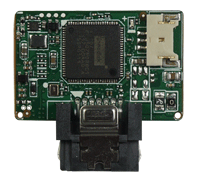 Innodisk Serial ATA Disk on Module (SATADOM™) supports SATA III standard (6.0Gb/s) interface with excellent performance, and SATADOM-SV 3ME V2 is designed as the smallest form factor size that could enhance compatibility with various design applications. Innodisk SATADOM™-SV 3ME3 effectively reduces the booting time of operation system and the power consumption is less than hard disk drive (HDD), and complies with ATA protocol, no additional drives are required, and can be configured as a boot device or data storage device. 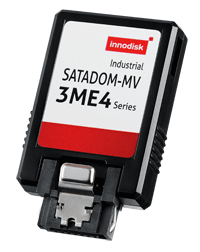 Innodisk SATADOM-SV 3ME4 is designed for industrial field, and supports several standard features, including TRIM, NCQ, and S.M.A.R.T. In addition, Innodisk’s exclusive industrial-oriented firmware provides a flexible customization service, making it perfect for a variety of industrial applications.